Who are your best prospects? It is those companies that share the same success profile and needs that your products and services address. That is why email campaigns that target specific companies and existing customers are still one of the most effective ways to attract new customers. Sales and marketing teams need to collaborate to develop the right strategy that considers (1) prior successful campaigns in terms of who did and did not view and actual leads and closes; (2) types of email distribution lists needed; (3) type of content; and (4) return on investment. MY Campaign brings together all of those elements to create a simple process to manage email campaigns. Our e-mail campaign solution can be deployed as a stand alone offering or as an integrated solution with our CRM, DMS, Social Business and/or Security modules to create a complete 360-View of your prospects. Lead Management for tracking and cultivating new leads. Email and Newsletter Marketing for touching prospects and customers with relevant offers and information. Campaign Management for tracking campaigns across multiple channels. Campaign Wizard to walk users through the process of gathering information such as the marketing channel, targets, and budget needed to execute a campaign effectively. 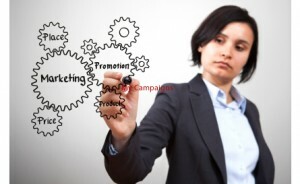 Campaign Reporting to analyze the effectiveness of marketing activities. Web-to-Lead Forms to directly import campaign responses into MTC to capture leads.